DroidDosh.com - How to manually upgrade Samsung Galaxy S7 (MetroPCS) SM-G930T1 to Android 7 (Nougat) official firmware. 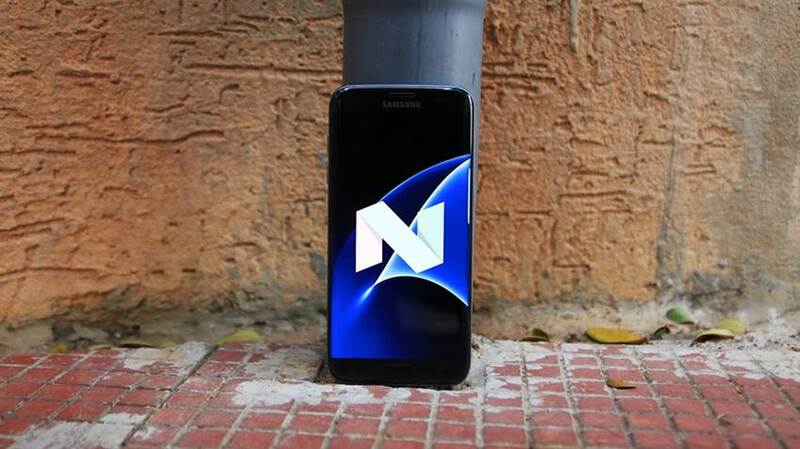 Samsung has finally started to release Android 7.0 (Nougat) to its Galaxy S7 (MetroPCS) SM-G930T1. Allright now I will share tutorial how to manually update Samsung Galaxy S7 to Android 7.0 (Nougat) G930T1UVU4BQG5 official firmware update. Keep in mind, before going through the entire tutorial please be advised that it is your own responsibility to go further. We are not liable for any loss of data or any property of yours by any mean. Download and install Samsung USB drivers for your Samsung Galaxy S7 on your computer. Go to Settings > Developer options on your Galaxy S7 and enable USB Debugging. Ensure that your Samsung Galaxy S7 battery is charged up to more than 70%. Go to Settings on your phone > scroll down to About device or About phone and tap on it > note the Model number. This guide is focused on Samsung Galaxy S7 model SM-G930T1. Download Odin v3.12.7 and install it. Download Samsung official firmware G930T1UVU4BQG5 for Galaxy S7 (MetroPCS) and extract the contents to get the .tar.md5 file. Unzip firmware zip file in the same folder as Odin. Switch off your Samsung Galaxy S7 (MetroPCS) and boot it in Download mode. Press and hold Volume Down, Power, and Home buttons together. Open Odin and connect your smartphone with your computer. When connected successfully, ID:COM boxes will be highlighted. (In case the smartphone isn’t successfully added to Odin, try another USB port. If that doesn’t help either, re-install USB drivers). On your Odin, click on AP / PDA and select the firmware file. Make sure that Re-Partition is not checked. Click the Start button to initiate the installation and wait until the installation completes. You can now disconnect the USB cable. Since the first boot takes about 5-8 minutes, you need to wait patiently. Wait until your Samsung Galaxy S7 (MetroPCS) boots up. Done! Enjoy the newly installed Nougat firmware.